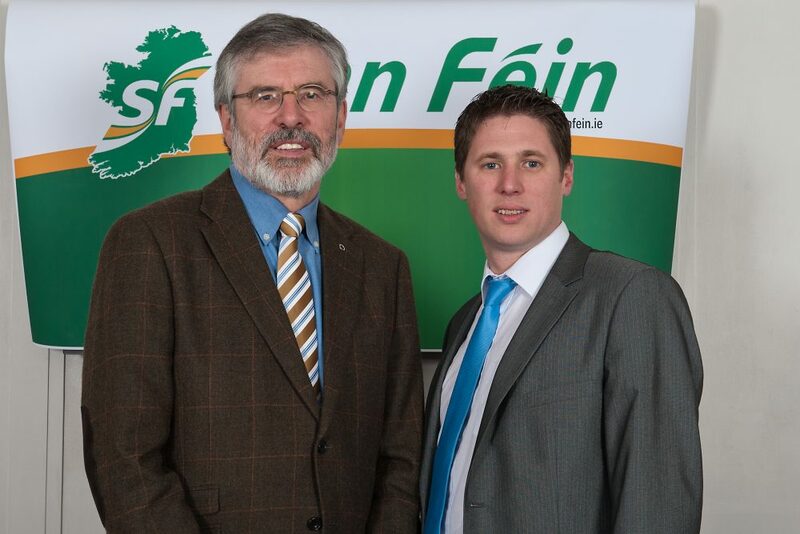 Sinn Féin TD for Louth Gerry Adams has criticised the Minister for Health for his failure to deliver a new Primary Care Centre in Dundalk following information received this week in response to parliamentary questions tabled by Sinn Féin Health Spokesperson Louise O’Reilly TD. 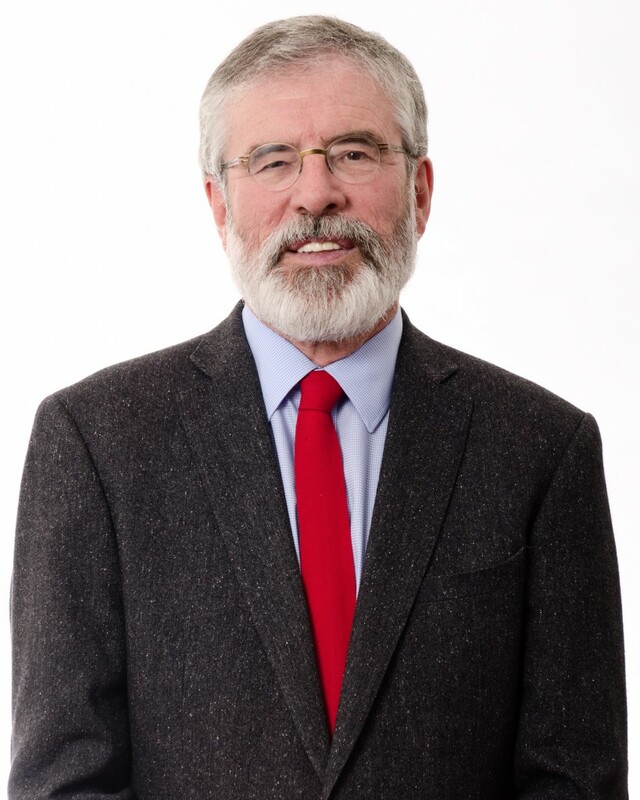 Gerry Adams said; “Dundalk Primary Care Centre simply does not feature on a schedule of Primary Care Centres which are currently operational, under construction or at advanced planning stage. “This is despite the Health Minister informing me in August 2018 that construction work on Dundalk Primary Care Centre would commence in 2019 with an expected opening in 2020. 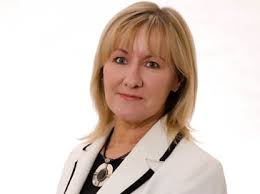 “I have written to the Minister for Health asking him to urgently clarify the position and to indicate when a new Primary Care Centre, with capacity to facilitate Community Mental Health services, will be delivered in Dundalk. “In 2006 ‘A Vision for Change’ recommended integration of Community Based Mental Health Services and other Primary Care medical services. “The current premises, which was originally constructed over 70 years ago as staff quarters for the adjacent Louth County Hospital, is not in any way fit for purpose. 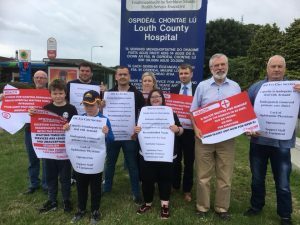 “Due to the conditions at Ladywell there are no Child and Adolescent Mental Health Service or Old Age Psychiatry services available in North Louth. “It is not acceptable for people to just wait until 2020. The Minister must ensure an interim solution is put in place. I will continue to raise this issue with the government until people have access to necessary services. 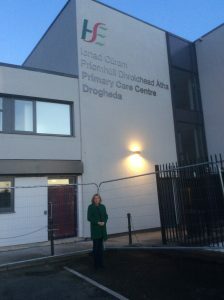 Sinn Féin’s Imelda Munster has welcomed the opening of the new Primary Care Centre in Patrick’s Street, Drogheda. ‘The “Boyne Primary Care Centre” will replace the Peters St facility based in the Laurence Town Centre and it is due to open to the public on Wednesday 4th July 2018 at 9am. It will incorporate primary care services and dental services as well as civil registration. Having raised the issue of the lack of dental services in early 2017 the full restoration of this service to the Drogheda area is very welcome as it means patients will no longer have to travel for treatment. The Peters St facility will continue to be used by the HSE and I am advised that planning is at an advanced stage with an announcement pending from the HSE. Boyne Primary Care Centre will supplement and support the extensively refurbished Ballsgrove Primary Care Centre that was re-opened in January 2018 following the malicious fire on St Stephen’s night 2016. 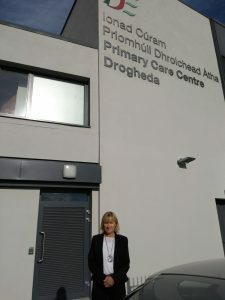 Sinn Féin TD Imelda Munster has welcomed the current investment in primary care provision with the imminent opening of a major Primary Care Centre in Patrick’s Street, Drogheda. The Primary Care Centre will be based in the recently refurbished Boyne Centre. Deputy Munster stated “this development will include five fully refurbished dental Surgeries and will restore the dental services and clinics that had been removed from the town over the last 15 months. For the past 15 month’s school children had to travel to Dundalk or Ardee to access dental services. Other much needed services such as public health nursing, occupational therapy, speech and language therapy for children and adults, psychology, a blood clinic, podiatry and ophthalmology. Deputy Munster said “This primary care centre will provide much needed services along with the provision of Births, Deaths, and Marriage’s office and a dedicated room for civil ceremonies which will have its own entrance. It’s imminent opening will be very welcome especially as it will mean patients no longer have to travel to access dental services. 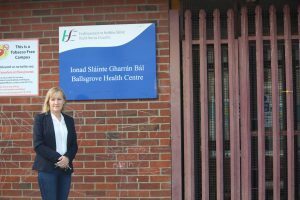 Sinn Féin TD for Louth/East Meath Imelda Munster has welcomed the completion of the refurbishment works in Ballsgrove Primary Care Centre.